As your silent salesperson, Jason grabs customers' attention to your products. Jason stands with his left leg slightly forward. Both hands are at or below the waist. 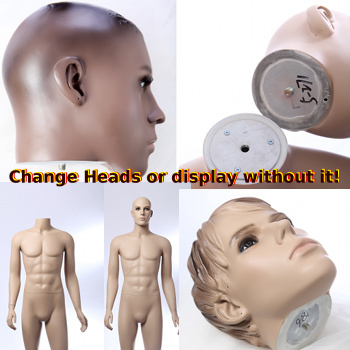 Click the button below to add the Mannequin Male Standing Model Jason (Plastic) to your wish list.